I have an aversion to holidaying in the same spot more than once – my favourite thing to do when I’m away is to get lost and explore new places so going somewhere again seems a bit dull. This trait has come in handy when friends and family have come to me for advice on the best camping spots! Since my husband and I first met, we’ve stayed in many different sites – spanning several continents! And one thing I’ve been aware of is how our ‘wants’ from a campsite have changed through the years – early twenties, (a bit more) sensible thirties, with the camper van, in a tent and of course the biggest change – kids. 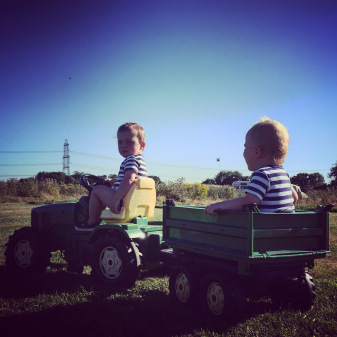 So here is a list of campsites in the UK that have ticked the boxes for us when camping with our kids – it also reveals a few insights into what you might be looking for when selecting a campsite for you and the family. We discovered this gem last year, and lucky we did. It’s a bit of a pop up campsite with very limited opening but if you get in you won’t be disappointed! We love smaller campsites that feel a bit rugged but at the same time have reliable facilities and a friendly, helpful owner. Dot’s gets a big tick on all of these. The space is one large field with the tents and vans pitched around the perimeter – this leaves a cricket pitch sized space in the middle for the kids (and there’s a lot of them) to play on the various toys made available to them. In fact it feels so kid orientated, I’m not sure I’d be up for going without them – you’d definitely feel a bit left out. Other good points to note, the owners are really welcoming, running a little shop with the essentials. Once a day the kids are allowed to go in and feed the small selection of farm animals – and one ginormous pig! There’s a pub in easy walking distance which we love because it means you can go out for dinner and walk back, hopefully arriving home with two sleeping babies. Being based in the New Forest, there’s heaps to do rain or shine so you won’t be disappointed if the British weather fails you. Things we could do without – the site is very small and there’s not much to do there in itself for a full day. Having said that, there are plenty of routes to explore on foot (important if you’re in a camper van so you don’t have to pack everything up). A shame that it’s not open longer through the year. 5m Bell tent – £200 a weekend, £250 for bank holiday. Ideal for family of 4. Sorry, no dogs or smoking allowed in Bell tents . Fire pits -£20 for the weekend with 1 basket of logs. 28th April – 1st May and 26th to the 29th. 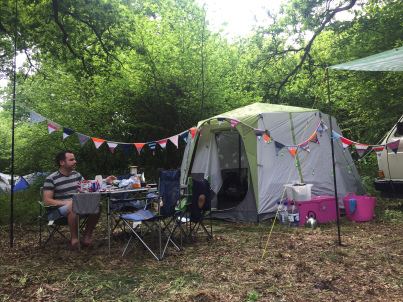 Every weekend, Friday to Sunday, 7th July until 20th Aug.
Inwood is owned by the folks at Camping Unplugged who are all about ‘real’ camping, with camp fires at the heart of a trip away in the tent or van. We’ve stayed at Inwood twice – and a bit confusingly it’s been based at different sites each year (a long story best explained by the owners on their website). Both sites have been really good – a balance of open fields and wooded areas which are completely open for campers to set-up in or explore. No restrictions so you can really make your site your own. The sites are huge so you can explore or walk the dogs without really leaving. I mentioned campfires, a massive plus – you really are free to do as you wish. We tucked ourselves away in the forest and we could have gone the whole weekend without seeing another camper the whole time if we hadn’t ventured from our own camp. Downside, there’s nothing within walking distance to the site so you need to get in the car. Plus side, you’re moments away from Basingstoke town centre (who would have thought!) so big supermarkets etc are close by. The damage: Check the website for pricing options. This special spot is about as far South as you can go. 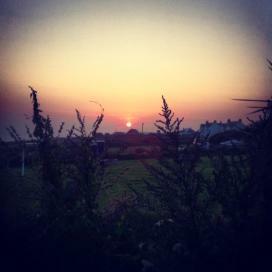 In fact it boasts to be the most Southerly campsite in the UK. If it wasn’t for the distance I think we’d be there every weekend! Henry’s throws away the rule back and has a distinctively hippy vibe. The sites are small but with many nooks and lanes that ensure you’re not on top of each other and feel a sense of privacy from the whole site. There’s a small farm of animals you’re free to visit at any time, a cafe and even a cosy amphitheatre which hosts intimate music gigs late into the night – the fire in the middle sets the mood and makes it truly spectacular for an evening’s entertainment. A bit of a walk away is a cove, feels like a trek there but well worth it past the cows down hill and through the rocks. A cafe ensures a large crowd but we managed to find space for a picnic. A word of warning though, the cliff walk on the way down is quite treacherous with running toddlers so you need to keep a close eye. Also worth a visit is the stunning light house right on The Lizard peninsular. Downside, the toilets and shower are pretty basic, but we were happy enough with them. I think we felt like we were at a festival when we stayed so a warm shower was a bonus! For a tent and two people £22 or £26 with hook-up. They have a few different options for pricing, thanks to their laid back nature, so give them a call for specifics. Full disclosure, we’re pretty biased when it comes to Billycan. Not only can we see it from our house, but its where we got married so will always hold a very special place in our hearts. 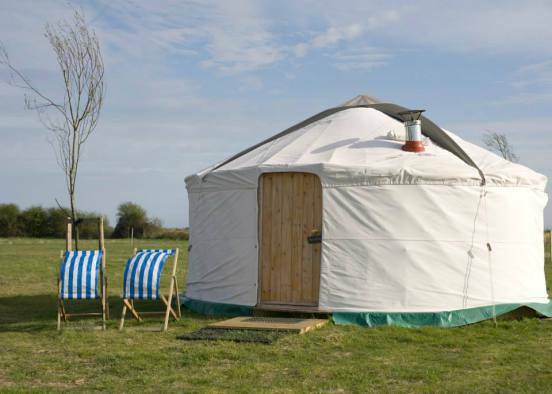 Overlooked by the Duke of Norfolk’s castle on the edge of the river Arun, the site features a collection of fully fitted-out canvas Bell Tents, Yurts and a (new for this year) cabin. You can dine under the night sky, toast marshmallows on the communal camp fire and feast on a delicious stew cooked by the owners. A breakfast hamper for your first morning is also included. Your tents or vans won’t be welcome here, but when you have the option of a proper bed decorated with vintage accessories, a bit of luxury might be just what you need! For the kids there’s regular entertainment and thanks to the communal kitchen and campfire you’ll get to know your fellow campers well. The damage: Upwards of £200, check out the website for accommodation options.